The fire station on Emerson Street is one of five in Evanston. City officials are worried legislation being considered by the Illinois General Assembly would give them less control over fire department staffing decisions. 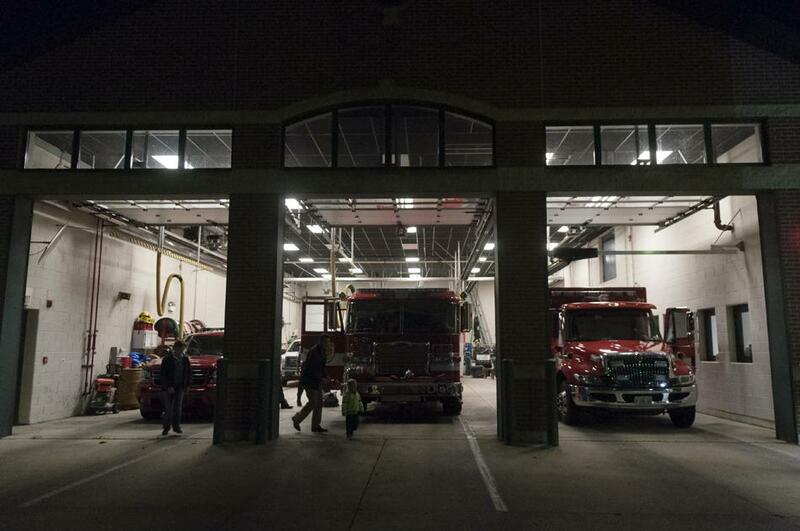 Evanston officials took a strong stance this month against a proposed Illinois bill that would give local leaders less power in determining the appropriate number of firefighters and paramedics in their own communities. The measure, which passed the state House of Representatives on April 3, would amend the Illinois Public Labor Relations Act, which originally gave public employees the right to collective bargaining. The new legislation would make department-manning requirements and issues concerning wages, hours and employment conditions subject to arbitration by an outside source. The bill was introduced by Rep. Rita Mayfield (D-Waukegan) and Sen. Kwame Raoul (D-Chicago) in February and would apply to all communities in Illinois, with the exception of Chicago, which employs more than 4,500 firefighters and paramedics. The bill has garnered support from the firefighters’ union and advocates for helping to resolve safety concerns. However, Klaiber said standards imposed by an arbitrator who would not understand the needs of Evanston as well as local officials do could cost the city money. “We could have layoffs in other departments, just to comply with the arbitrator’s decision,” he said. Klaiber said he believes Evanston currently holds a sufficient number of employees in its fire department, with just more than 100 full-time members. He touted leaving the decision about staffing levels in the hands of the city and city manager Wally Bobkiewicz. Other organizations have also expressed their opposition to the “manning bill.” The Northwest Municipal Conference, an authority that presides over local governments in Chicago’s north and northwest suburbs, has staged a full-blown effort to stop the legislation’s progress. The bill “would leave taxpayers on the hook for tens of millions of dollars of unnecessary fire department staffing costs,” executive director Mark Fowler wrote April 18 in a weekly city report. NWMC’s legislative committee formulated a plan that would publicize the bill’s possible negative impact. Fowler called for government officials to contact their legislatures and express their desire to defeat the measure. Bobkiewicz and Mayor Elizabeth Tisdahl traveled to Springfield on Wednesday for the annual Illinois Municipal League Lobby Day, where they met with local governors and state legislators to discuss two main issues: police and fire department pension reform and the measure for fire staffing. Bobkiewicz said he learned the bill had not yet been assigned to a committee in the state Senate and was not making forward progress. He said he took this as a sign the opposition lobbying has been successful. “I’m glad to hear that we’re having an impact,” he said.